Above is the interview by Sh Rajiv Mehrotra on Doordarshan , India’s Official TV Channel with Sh K. N. Rao , my Guru and mentor at Bhartiya Vidya Bhavan , New Delhi . 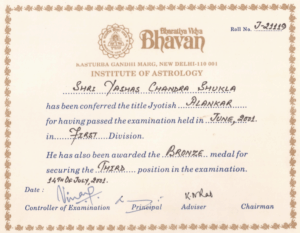 I was lucky enough to get a certificate of Learning astrology from him in 2001 . In this interview , he talks about various issues connected to astrology like its misuse , relevance in modern society and about its practitioners .